In my opinion, the concepts behind Django's model forms can be listed in just six (6) bullets. The bullets I've marked in bold at the top are the topic of this blog post, while the two of these that were covered in a previous blog post on Django forms are at bottom of my list. ModelForms render Model fields as HTML. ModelForms select validators based off of Model field definitions. ModelForms don't have to display/change all available fields. ModelForms save dictionaries to SQL tables. Each individual field contains a list of validators (in this case, just one validator) supplied by Django and any ModelForm customizations that might have been done. >>> # Don't forget to stop/start the Django shell! Now we have two validators for the field! I don't like this technique. This makes it so we are defining the title field in two places, once in the model and once in the form. 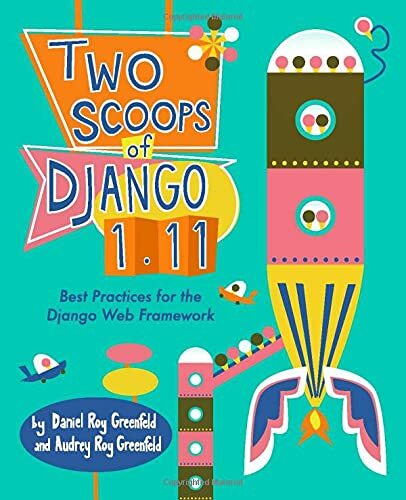 I go into more of the details and problems of this approach in my previous blog post at Overloading Django Form Fields. We advocate strongly against using ModelForm.Meta.excludes. In any case, the problem with ModelForm.Meta.excludes is similar to but worse than duplicating field functionality. It means that changes to models (new fields for example) will display in associated forms unless you remember to modify the associated forms. Since a single model can have multiple forms, and we developers forget or leave projects, you can understanding what sort of security nightmare this can cause. Do yourself a favor and stay away from ModelForm.Meta.excludes. In my previous post of Django forms I covered forms validate dictionaries. Well, ModelForms do the same thing AND give us the power to save that validated dictionary to SQL tables. We don't even need to involve web pages! This is really useful because it means that we can take data from any source, be it user input from the web, JSON data fetched from an API, and even CSVs generated from Excel reports and transform that into data that resides in SQL. Let's go over using our ModelForm with title/slug fields used with all those methods. In our samples (web page, json, csv), we'll use generating a timestamp to demonstrate how we can modify the model data before it's saved, and we'll base all three examples off the model and ModelForm combination listed below. And now to our three examples! This should look pretty familiar to many Django developers. it's the traditional Django view pattern of processing simple model forms. # commit=False means the form doesn't save at this time. # commit defaults to True which means it normally saves. In this example, we're validating the output of a RESTful API before letting it touch our database. It's critical that such APIs are not allowed to touch our systems without proper validation - don't make my mistakes! Also, even internally within a project it's really important to validate all data coming from different databases. And Django makes it easy! import requests  # You are using requests-python, right? I'll admit my mistake again: I've written my own validation tools to handle data coming from CSVs and Excel documents into Django projects. My validation scripts always seem fragile, and they are. What I'm doing going forward is I'm leaning on form libraries to do the hard work of validating data and saving it to models. Forget the HTML: For nearly every sort of occasion where new data is coming into your system, form libraries save you from doing extra work and cover your behind. While my experience is with Django forms, there are many form libraries out there. The patterns explored in this post are certainly available in other web frameworks (see http://flask.pocoo.org/snippets/category/forms/ for proof). HTML Rendering Issues: No form library is going to do everything, and because of evolving standards, decent HTML rendering is a pain for form library authors. For example, Django's default form HTML rendering remains stuck in 2005 because if they had kept up with modern trends of HTML form layout we would have many different flavors of forms in Django core (a testing nightmare). Which means, as a developer, it's important when using a new form library to learn how to override the default form HTML rendering. What about AJAX? : Whoops! Does this mean I have to write another blog post? Not at all. In Django, AJAX is just another view, either function- or class-based. The secret is to validate the incoming data the same way as you would any other view request by using forms.